» Our Fraternity Rush was Great… Now What? First off, congratulations on a great recruitment and a great new member class! Recruiting is a challenge no matter what, so my hat goes off to you all. Attrition in a new member class can result from a wide variety of things, but typically comes down to a few more broad issues. In addition to answering your question about getting them involved, I want to hit on a couple of other ideas that will help keep your new members excited and keep them in your chapter. From the moment your new members sign their bids, there needs to be some event that brings them together with your current active membership. Something as simple as your new member class walking over to the dining hall with your entire active membership serves as an easy way to bring them in to the chapter. Have a cookout, plan an event at the campus rec center, or have some type of celebration to welcome your new members into the fold. 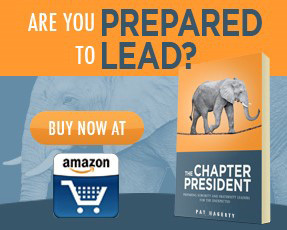 This way, it not only shows your new members that you want them to be a part of your chapter, but it also gives your current membership a chance to get excited about the growth of the chapter. Once the bids are signed, make sure you include your new members in every possible way. Include them in any chapter social events, community service, brotherhood opportunities, and most importantly, treat them as BROTHERS, not “pledges”. 2) Get your active members involved! Again, inclusion is sort of the theme here. When your active members are not just bystanders, your new members have a better chance of feeling like they are a part of the chapter, not just “the new guys”. This also gives your new members a chance to see how current members interact with one another, accomplish task, and manage events, all crucial parts in establishing strong future chapter leaders. This also allows bonds to form. I’m of the mindset that, in terms of fraternity recruitment, people join other people, not the allure of socials and community service events. Why then won’t this same approach work with retaining new members? We all can look back at our time as new members and think of a few active members, and not just our Big Brothers, that were the reason we stayed committed. This is the anti-hazing part of the program. Does your new member education process require absurd and lewd acts? Does it require new members to do illegal, immoral, or beyond stupid? Does your new member education process ask new members to do things that your active members wouldn’t do even if they were paid? If the answer to any or all of these is yes, you need to rethink your program. We use the phrase “New Member Education” because it is an education about the chapter, the general fraternity, and the true values behind why fraternities are so near and dear to so many of us. It is not “Pledge Embarrassment” or “Earning your letters”. New members drop out when they feel they are belittled, abused, or seen as objects of amusement. If you design your program to be inclusive and in line with the real purpose of your fraternity, your new members will be energized by it, not bogged down by it. When someone struggles, and they will, that does not mean it is time to ridicule them into improving. It means it’s time to provide proper support and encouragement. You and your fraternity already have the tools to be successful with your new members; you just need to use them properly. Best of luck on a successful new member process!